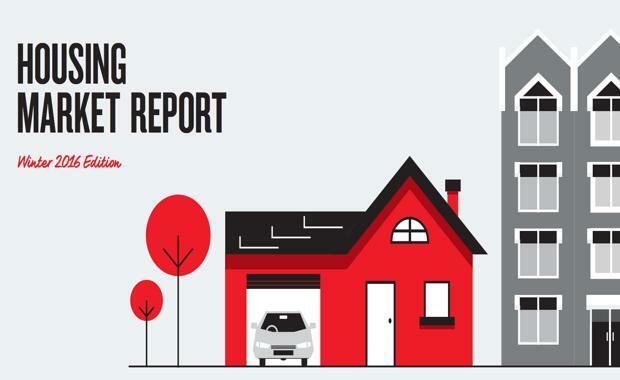 NAB's Winter Housing Market Report released August 15 points to a mixed picture of market conditions; any near-term strength is likely to be temporary, with a more subdued market expected for 2017, according to the report. Property prices have continued to prove more resilient than expected in 2016 (to date) which are likely supported by better than expected population growth and the recent RBA cut to interest rates, although different price measures are providing conflicting signals. An example of this can be seen in the Sydney market where quality adjusted house prices have increased significantly in the past 6 months. There are also a number of other (non-price) indicators that point to more mixed conditions in the housing market, including turnover, time on market and vendor discounts. Consequently, we still expect that overall market fundamentals will become less favourable going forward. 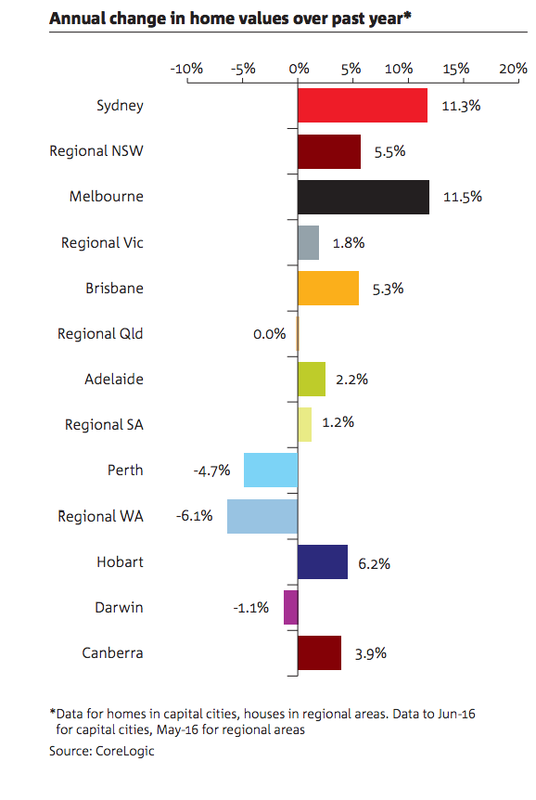 Indeed, the NAB Residential Property Survey has softened with moderation seen in each of the major eastern markets. Consistent with the more difficult environment facing property investors, the Survey showed a fall in the share of foreign buyers of new property as well, although observations on this vary considerably by State – Victoria and NSW saw a surprise lift in demand despite a further deterioration in rental yields and relatively poor affordability. Investor housing credit growth has remained relatively subdued in Q2, with annual growth dipping well below APRA’s imposed ‘speed limit’ of 10% (currently 6%) – although this could suggest some upside potential going forward. In contrast, growth in owner-occupied credit has remained fairly robust. Our (quality adjusted) price forecasts have been revised higher this month in recognition of the strength seen in prices to date. Nevertheless, we are not convinced that the fundamentals have changed significantly since last quarter, although the near-term risks may have shifted more to the upside. Rather, we expect that once the recent resurgence in prices runs out of steam, we are likely to be left with a market that remains soft for a little longer than previously expected. Our average national house price forecast in 2016 has been increased significantly to 5.1%, from 1.5%, although this is still a slower pace of growth than in 2015 (7.8%). Our unit price forecasts are also higher, at 3.6%, up from -1% previously – but less than half the rate of growth seen in 2015. The weakness previously expected for 2016 has now been shifted to 2017, with house prices forecast growth to be relatively subdued at 0.5%, while large additions to supply are expected to contribute to a decline in unit prices of 1.9%. 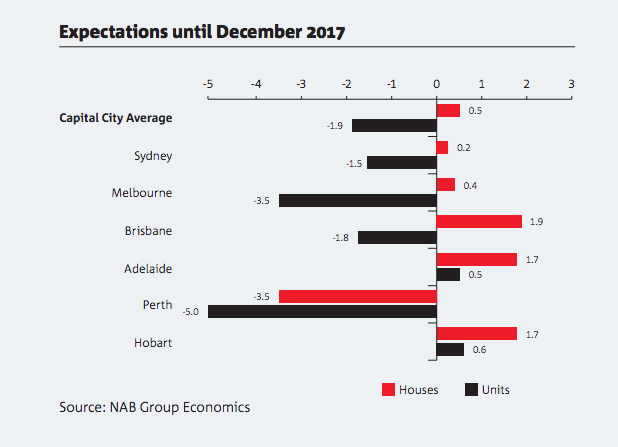 The NAB Residential Property Survey showed that respondents actually upgraded their price expectations for the next 2 years – especially in NSW – despite deterioration in market sentiment. ACT view: Undersupply and a stronger labour market are supporting the ACT housing market. However, the focus on Budget repair suggests some uncertainty for the outlook.